Under Texas law, a provider of alcohol may be liable for the damage caused by an intoxicated person served by the provider. Commonly known as “Dram Shop Liability,” such liability involves both concepts of vicarious liability (the liability one person for the negligence of another) and direct liability (liability for one’s own wrongdoing). In Texas, Dram Shop Liability in its modern form has only existed for a little under thirty years, and as a result, is an evolving concept. However, this article is intended to give a broad overview of Dram Shop Liability in Texas, while future articles will discuss the nuances of the law. While early Dram Shop liability existed in some form in Texas in the late 19th and early 20th centuries, this ended in 1919 when the earliest versions of the Dram Shop statutes were effectively repealed. Thus, after 1919, Dram Shop liability effectively ceased to exist. There was no form of Dram Shop statute on the books and Texas’ courts refused to impose liability under common law. However, this situation radically changed in 1987 when both the Courts and the Texas Legislature acted. On the judicial front, the Texas Supreme Court rendered its opinion in El Chico v. Poole, 732 S.W.2d 306 (Tex. 1987), ruling that a third party could sue the holder of a permit to sell alcohol, issued by the Texas Alcoholic Beverage Commission, for serving a patron that the seller knew or should have known was intoxicated. Meanwhile, the Texas Legislature enacted Section 2.02 of the Texas Alcoholic Beverage Code (“Dram Shop Act”), creating a statutory cause of action for Dram Shop cases. While Poole was first, §2.02 now forms the “exclusive” basis for Dram Shop liability and thus all Dram Shop cases start there. Section 2.02 specifically addresses the “Providers” of alcoholic beverages. A Provider is one who sells alcohol to another under the authority of a permit issued by the TABC. A Provider may be either an individual seller, such as a bartender, or a bar or other establishment that sells alcohol by the drink. It may also be a non-parent adult who furnishes alcohol to a minor at the adult’s home or in public. A Provider is not an adult who provides alcohol to another adult at the adult’s home, or who allows the adult to drink at the adult’s home. Those circumstances involve “social host liability,” which Texas courts have steadfastly refused to recognize. What responsibility does a Provider have under Section 2.02? Simply stated, Section 2.02 prohibits the service of alcohol under the following circumstances: 1) at the time of service, it was or should have been apparent to the provider that the person was obviously intoxicated to the extent that the person presented a clear danger to himself or others or 2) the provider allowed a minor to become intoxicated by either serving or providing alcohol to the minor or allowing the minor to be served or provided alcohol on a premises owned or leased by the provider. In either circumstance, the provider may be liable for all damages proximately caused by the person’s intoxication. While Dram Shop cases may involve any type of accident, the vast majority involve allegations that a drunk driver had a collision with a third party and that the drunk driver was sold or drank at a Defendant bar. It is important to note that the Dram Shop Act not only allows for suit against a Provider by a third party injured by a drunk patron, but it also allows for suit by the drunk patron himself. According to §2.02(a), as well as various cases out of Texas Courts of Appeal, a drunk patron who is injured by reason of that patron’s intoxication may sue the bar for those injuries. However, the bar may raise the defense of comparative negligence, arguing that the drunk patron was negligent in creating his own intoxication, in which case the patron’s recovery is based on Texas’ general comparative fault scheme, which we will discuss below. The bar did not directly or indirectly encourage the employee to violate the law. There has been much litigation on each of the above elements, and copious amounts of law review articles, judicial opinions, and seminars on the nuances of §106.14. Thus, a full exploration of §106.14 is not possible in this one newsletter and will be discussed in future articles. However, the bottom line is that all bar owners should ensure that all of its employees attend a TABC approved training course and that every employee’s TABC certification is always current. Further, all bar owners should make it clear at every opportunity—all training sessions, meetings, in the employee handbook, etc.—that over service or service of minors is not permitted and will not be tolerated, and reprimands and terminations should be handed out to those who violate the law. With adherence to these simple steps, the bar owner will have a strong defense available in the unfortunate event that the bar is the subject of a Dram Shop suit, and without adherence, the bar owner may find the defense to be toothless. It should also be noted that the Defendant Provider may also raise other common law legal defenses, including the defense of comparative negligence. In Texas, a jury assesses the percentage fault of all persons against who claims of negligence have been brought, either by lawsuit or by raising a comparative fault defense. For example, in cases in which the drunk patron is the Plaintiff, the Defendant Provider may ask a jury to assess what fault the patron bears in his own intoxication. Similarly, in cases in which the Plaintiff was a voluntary passenger in the intoxicated patron’s vehicle, the Defendant Provider may ask the jury to assess what fault the patron bears in voluntarily entering and rising with the patron. In these situations, if a jury assesses a percentage of fault on the Plaintiff, the Plaintiff’s recovery, if any, is reduced by that percentage. In the event that a jury assesses more than 50% fault against the Plaintiff, the Plaintiff’s recovery is barred as a matter of law and the Plaintiff recovers nothing. Texas’ Dram Shop liability scheme is an ever-evolving subject on both the judicial and legislative level. 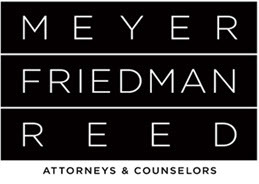 Close monitoring of legislative developments and new cases is vital to understanding the contours of a Provider’s liability at any given time, and strict adherence to regulatory requirements and professional standards of conduct are vital to ensure that in the event that a lawsuit does come—and bars are increasingly becoming target Defendants—the Provider Defendant will have every defense available to it to defend the case and, in some circumstances, avoid a potentially catastrophic judgment.